We’re here to help you either way. After poring over Bovada’s expected win totals, and checking out projections from Baseball Prospectus and FanGraphs, we’ve determined five over/unders we like for 2019. A late season collapse prevented the Phillies from making the postseason in 2018. Not content with winning 80 games, the team went out and acquired three All-Stars during the offseason. Between Bryce Harper, J.T. Realmuto and Jean Segura, the team’s lineup is absolutely terrifying. There are some questions in the bullpen and at the end of the rotation, but people are cautiously optimistic about Nick Pivetta and Zach Eflin turning in better seasons. It’s also fair to wonder how much that matters, especially after the Oakland Athletics and the Rays thrived using the opener last season. The Phillies might be able to get away with that every once in a while. Mostly, though, you can probably count on Harper to bounce back and turn in yet another MVP-caliber season. That’s enough to push them to at least 90 wins. Baseball Prospectus believes the Cubs will win 79 games in 2019. While they probably aren’t that bad, people are brushing off PECOTA’s concerns a little too easily. The Cubs stood pat during an offseason that saw the Milwaukee Brewers add Yasmani Grandal and the St. Louis Cardinals add Paul Goldschmidt and Andrew Miller. While the lineup is solid, the team is relying on five starters who could all backfire miserably. Jon Lester is 35 and saw his peripherals decline last season, Jose Quintana hasn’t been the same since leaving the South Side, Yu Darvish is coming off a tough injury and Cole Hamels needs to prove his second-half resurgence was legitimate. 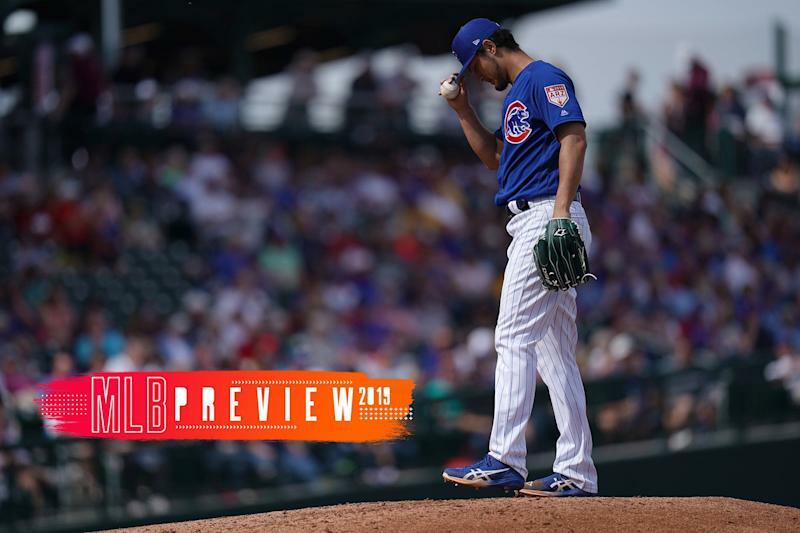 Even if all those players remain healthy and effective, the Cubs are going to have a hard time fending off the Brewers and Cardinals and dealing with the upstart Cincinnati Reds and Pittsburgh Pirates. Now imagine what will happen if one or more of those pitchers fail to live up to expectations. The Reds are going to hit. But in order to reach the over, the rotation is going to have to turn things around quite a bit after the group finished with the 26th best fWAR in baseball in 2018. To their credit, the Reds addressed that over the offseason. The team brought in Sonny Gray, Tanner Roark and Alex Wood to try and improve a position of need. Gray is coming off a terrible season in New York, but there’s reason to believe he can get his career back on track. He reunited with his college pitching coach, Derek Johnson, and he’s made comments about how the Yankees asked him to pitch outside his comfort zone. Wood should continue to post above-average numbers as long as he stays healthy, and Roark can soak up innings and generally keeps his team in games. On top of that, the team also has Luis Castillo, who was everyone’s favorite fantasy sleeper going into 2018. If he can put it all together, the Reds might improve enough to have a league-average rotation. With that lineup, that might be enough to get them to .500. The A’s shocked the baseball world in 2018, winning an incredible 97 games and making it to the postseason. While they bring back roughly the same club in 2019, it might prove difficult to remain in contention. One thing that should hurt the A’s in 2019 is that the team is unlikely to repeat their record in one-run games again. The A’s went 31-14 in one-run games in 2018. Most teams tend to go roughly .500 in those contests. If the bullpen slips at all, the A’s won’t be as fortunate in tight games. The bigger issue might be the rotation. Can you name any of the players set to open the year in the A’s rotation? If so, congrats, you’re either a life-long fan or you work for the team. While the opener was all the rage in 2018, the A’s are going to lean on the strategy heavily in 2019. If that backfires at all, the team could find it tough to stay on top. The Braves might be a good team in 2019, but that might not be enough to cut it in a tough NL East. Both the Nationals and Phillies took major steps to improve during the offseason. The Braves, meanwhile, are hoping Josh Donaldson can regain his form and … well, that’s about it. The team is instead going to rely on youngsters to take the next step and get them back to the postseason. It’s a risky move, especially considering the rotation is filled with unproven prospects. There’s definitely a scenario where it all works out and the Braves win 95+ games. There’s also a strong possibility those young pitchers experience growing pains throughout the year. Pitching prospects are notoriously finicky. What do you think? Will you be relying on any of our picks for 2019? If so, we’re glad we could help you look smart. If not, that’s OK. The whole point of this is to form your own opinions. Plus, we went 2-3 last year, so it’s perfectly fine if you would rather trust yourself. We don’t want your mistakes weighing on our conscience.